Little boys with Spiderman duvets will suddenly beg their mother for a plain duvet when they are nearing the age of 12 years old (along with a plain birthday cake and their own barbecue). I am sure the barbecue thing is totally normal... I hope it is anyway. At the same time, other little boys will be as happy as larry with their Bob the Builder sleeping bag as they are nearing 10. Very interesting... I'm feeling the urge to 'disappear' a certain sleeping bag. Loving this quote: "Worry gives a small thing a big shadow". 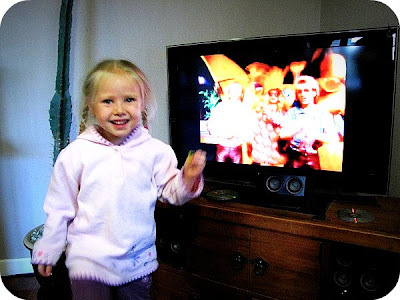 Sometimes Symon and I like to introduce our children to the alltime best songs on youtube... songs like Agadoo, Star Trekking, Innocent and Here it Goes Again. I hope our strange choice in music vidoes has no long term affect on the sanity of our children (cause we are both totally normal right?). I'm discovering that although we all hang out for the mountain top experiences in life, I am sure that the beautifying of our soul can only be done in the valley and desert places... and only with God's help and strength (but boy is it hard and painful sometimes) . Although I hate promoting products on my blog just because I've been asked, there is only so many bottles of complimentary Johnson & Johnson baby wash/moisteriser (via FreshPR) being delivered by courier in the early hours of the morning that you can cope with before you cave in and mention them on your blog. Thanks guys - we do love the stuff (and so do some of our friends). Makes me want to have another baby so that I can put them to good use... JUST KIDDING! I love my husband... even though he has a slight addiction to short-lived hobbies. Yes, that's right... he is constantly researching and taking on new hobbies and/or pets. It sometimes drives me mad... but then I remind myself that things could be worse (like the time we had a cricket farm by our bed to supply food for his pet spider). Love it! Love the quote (as a previous Anxiety Sufferer - I can testify to it's absolute truth! ), and love that your son wants a bbq for his birthday! I think it's a pretty normal kid thing, to ask for something a bit random, just because you love it! (I asked for a swandri one year, because my stepmum used to wear them tramping - I hated tramping, but I guess I just thought she looked cool). A cricket farm to feed the spider!!! LOL. Symon is totally nuts, in the nicest possible way. So glad we know you IRL. And your Johnsons promo photos hahahaha too funny. Hahahaha my friend has an overpopulation of black beetles, and I considered fulling up a jar of them for Symon's spider :P My pet spider used to love them! J&J products are staple baby products, but unfortunately Johnson & Johnson was the fifth largest user of animals in test in 1988 and the ninth largest user of animals without anaesthetic in tests considered painful. & Were also responsible for the death of six infants that were part of a test group for anti-diarrhoea drops in Pakistan. It is these reasons, and the fact that Johnson & Johnson continue to animal test despite numerous protests that I boycott their products. An alternate product that is green, healthy and animal cruelty free is Eco Store products. 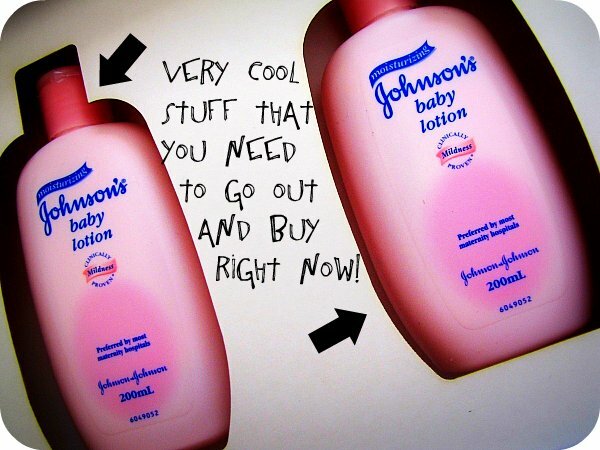 They sell baby lotion's, soaps, shampoo's & conditioners, laundry powders, dish washing liquids etc etc.. and are commonly found in your everyday supermarket at very reasonable prices so you don't even have to go to specialty shops to find them. Not trying to be a hater, as I know you recieved those products free and who can say no to something free right? (I have been gifted J&J before and used it) But when going out to purchase more, you might think about trialling a cruelty free product first to see if it works just as well? You are a most patient and merciful wife who is obviously VERY holy. HAHA I love this post! And you have no idea how glad I am that someone elses husband has a penchant for short lived hobbies/extreme obsessions. I never know when to reign him in, and when to let him at it! I had totally forgotten about that song Agadoo! haha! And a bbq for a birthday - awesome idea!! yikes... cricket farm. That is impressive! Loved your post. Hahhahaha..love the spider/cricket bit! My hubby is known for having teh WEIRDEST habits on the planet(but he sticks to them). Hes a history teacher so he loves period clothing, swords and weapons, makes his own chainmail, has(& knows how to ride) a unicycle, hes a balloon artist, decorates birthday cakes, hes a beekeeper, he can sew(I promise theres nothing feminine about him though:)), and he's the gardener in our home. you look so pretty in your pic :), those eyes! 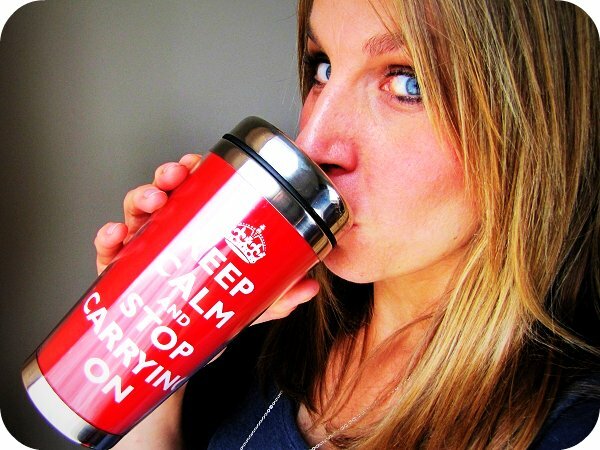 ahahah I bought a water bottle with 'Keep calm and stop carrying on' on it for when i went into hospital to have my second. I looked at it, and took it in. often! Loving your blog and that of your husband. I'm sure our husband s would know each other from blogland!